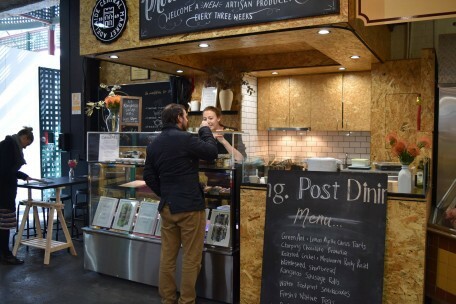 September 2017 - Adelaide Central Market: The City of Adelaide's premier food destination. Over 70 traders under one roof. Please welcome our next Producer in Residence.. Post Dining! Please welcome our next Producer in Residence, Post Dining. Post Dining are a production company reimagining interactions between people and food, encouraging native and novel flavours! Try a rocky-road with fair-trade chocolate topped with roasted crickets and meal worms, lemon myrtle and green ant citrus tart, cricket shortbread, ‘chirping’ chocolate brownies.. Or if you prefer a treat sans bugs we recommend their yummy wattle-seed shortbread biscuits and a cup of native tea. Discover this unique offering at the Producer in Residence Stall on Market days ‘til 23 September (next to O’Connell Meats). Share your Market memories with us! Food, community and good memories is what the Market is all about. 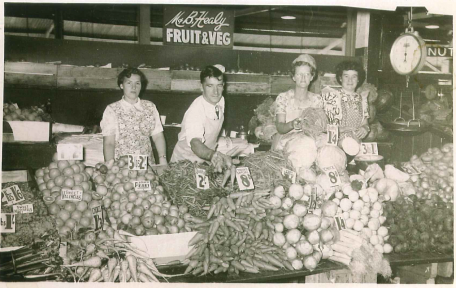 Do you have any old photos or memories of the Adelaide Central Market, that you think could be enjoyed by others? Please email your contribution through to ‘social@adelaidecentralmarket.com’ and it could be included in a very special book that is currently being created to celebrate 150 years of our wonderful Market.